Intel continues to pump more horsepower in its chips, by releasing a 24-core processor for high-performance computers. Qualcomm has teased out some more details about its upcoming Snapdragon 820 processor, including a refreshed GPU and an image processing unit that could lead to big improvements in smartphone cameras. 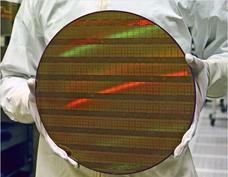 It's official: Moore's Law is slowing down. When you're strapping on the latest smart watch or ogling an iPhone, you probably aren't thinking of Moore's Law, which for 50 years has been used as a blueprint to make computers smaller, cheaper and faster. Intel's acquisition of mobile network assets from silicon vendor Mindspeed Technologies will give the chip giant what it needs to extend the Intel architecture throughout mobile operator networks, helping the carriers upgrade hardware and roll out new services more quickly, according to Intel.